The 21st Annual Theatre Forum at Round Top, scheduled for November 2-4, will explore Hand in Hand: Theatre Holding Hands. 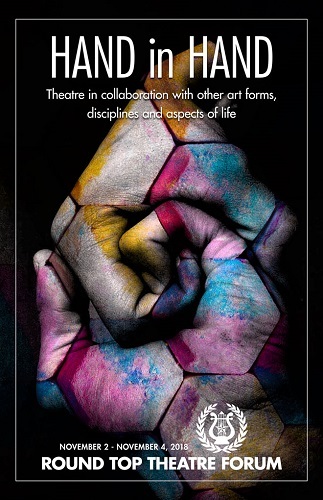 Topics discuss Theatre in collaboration with other art forms, disciplines, and aspects of life. We welcome Sonja Bruzauskas, Theatre Forum Producer. Internationally acclaimed and New York-based actor, composer and playwright, Danny Ashkenasi, will join the cast to speak about his work on, and behind, the Big Apple stages. Returning presenters include Kate Pogue, Vern Sutton, Felicia LondrÃ©, Ann Thompson, Chesley Krohn and Tom Foral.